A highlight in season five is the fight at Daznak's pit, where Daenerys spots Mormont among the combatants. A fierce attack breaks out with the Sons of the Harpy, who surround Daenerys and her supporters. 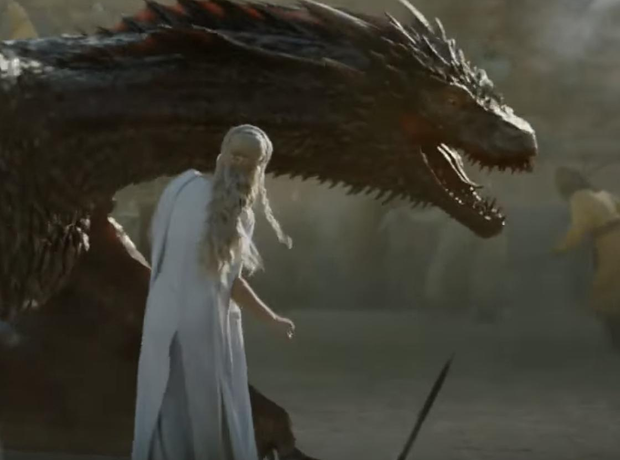 Just as all hope seems lost, Drogon arrives, so she mounts it and flies away from the pit. Crescendos, repeated figures in the strings and eerie glissandos all add tension in the soundtrack.